Mike Hammer: Mystery and Suspense on Television. Long before Stacy Keach assumed the role of New York private investigator Mike Hammer, a character created by crime novelist Mickey Spillane, Darren McGavin played the wise-cracking character in a 78 episode syndicated series from the late 1950s. Bart Burns played his NYPD contact Captain Pat Chambers. The "new" Mike Hammer series aired on CBS for two seasons then took a break for a year while Stacy Keach served a prison sentence for smuggling cocaine. 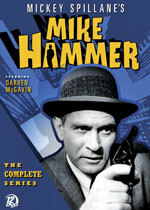 A third season, also on CBS, aired under the title The New Mike Hammer, after which the series was canceled. 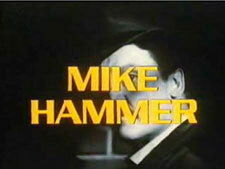 Several years later, another season aired in syndication under the title Mike Hammer, Private Eye.